:: Peanut Press Creative ::: Sam + Michelle tie the knot! Sam + Michelle tie the knot! I couldn't be more excited for this wedding! Our wonderful friends Sam & Michelle tie the knot this Friday! I can't believe the big day is finally here and what an awesome day it will be! I've never met a couple that more embodies the spirit of fun. 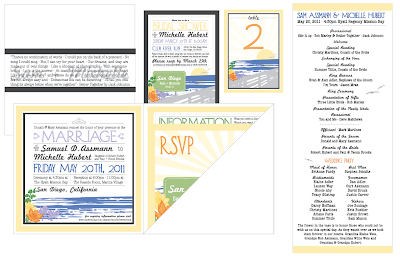 I was lucky enough to be able to work with them over the last few months with a few of their paper elements for the wedding including their invitation set, Michelle's shower invitation, the table numbers and then the programs for the ceremony. 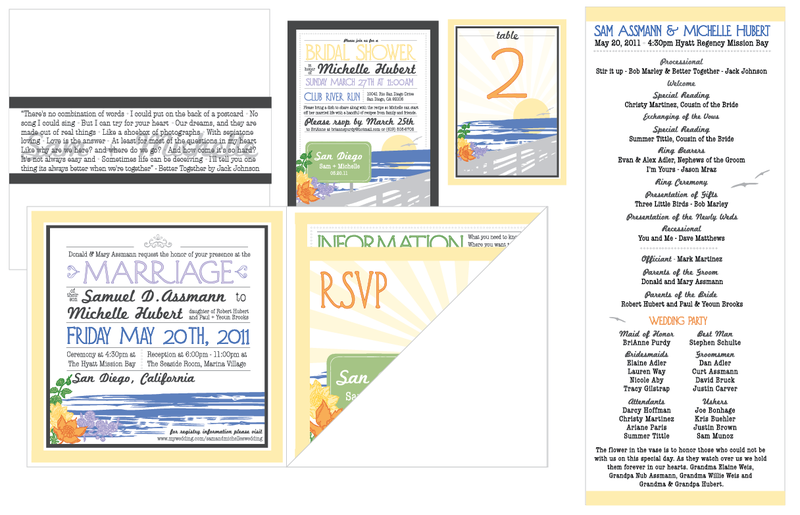 Sam & Michelle were so very involved in the design and feel of their paper elements - starting with their invitation set which was heavily influenced by their love of the beach and music - specifically Jack Johnson concert posters. I can't wait to see everything come together on Friday - it's going to be absolutely beautiful and unique to them as a couple. Stay tuned for some photos of the actual items and hopefully of the lovely couple on their day! Congrats Sam & Michelle! Quite nice details about their wedding day! My brother just got married at destination DC wedding venues and they had hired a popular event planner. The planning team did wonderful job according to their theme and also helped couple to stick to their budget.